400+ seats vacant but locked due to indecisive Delhi Govt!? HT Delhi : Around 400 nursery seats will remain vacant this year as the Delhi government has decided NOT to hold a second round of lottery for admission in the economically weaker section/disadvantaged (EWS/DG) category for private schools. In a circular issued by the Directorate of Education (DOE), the government said that 384 seats have remained vacant as there were no applications in these school or the applicants were allotted a school of higher preference. This year, the DOE had received 1,13,991 online applications for the 31,653 EWS/DG category seats. Through the computerized draw of lots, a total of 31,269 candidates were allotted schools as per their preferences. In an affidavit filed by the government at the Delhi High Court, the government has stated that out of the 28,135 seats in 1,159 schools more than 19,000 seats have been filled. Delhi Government has issued the list of selected EWS candidates for the nursery admissions. The selection list is on the official website. We first published this news (via HT), on 3rd March that announced that Delhi parents are reaching out to Gurugram schools for admissions as Nursery Admissions in Delhi continues to haunt poor parents that are once again left clueless, and looking for answers to same age old questions once again. HERE IS THE INSIDE STORY! Many parents have started blocking seats in NCR schools as there is lot of misleading information being provided on many leading online forums/sites creating panic situation and these sites are actually promoting some leading schools (so called international schools, full A/C schools, hat-ke schools etc - you know what I mean here), as a result they are creating panic so that they can sell seats in those schools in Gurugram, Noida, Faridabad and specially parents that are ready to shell out money as that puts them in more comfortable position by securing seats but hardly helpful. Many online sites and forums are misleading parents by re-publishing information that contradicts with reality on ground, and with parents locked in three way battle among - Schools <> DOE/Govt <> Court - these forums are doing further damage by confusing parents, and diverting them to NCR schools that are always on hunt for upper middle or higher class parents that are always on hunt for comfort zone. 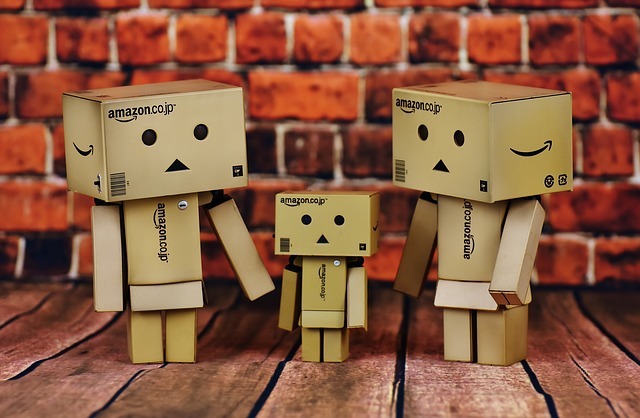 It is pain but parents are advised to rather look for information with schools (the best source actually), as many online forums have incomplete, outdated information. Media hardly validates information themselves and falls pray to these fake admissions gurus assuming they know it all - they are actually in the hands of nexus, who is diverting their attention and actually multiplying panic their benefit. We are getting requests from many parents to request fellow parents to please submit the withdrawal application (follow the applicable withdrawal procedure) at school as soon as possible so that other parents and their kids can get the seat. Although the "un-confirmed" seats would be released by the cut-off date in coming weeks but an early release would help other parents who did not get a single seat anywhere yet. You have nothing to lose but your withdrawal at early stage would be timely help for all other parents. If you have released, or wish to release any extra seats in any school, please do share the school name if possible (do NOT share child/parent details, or names please), so that others can see some ray of hope! First List is out for Nursery Admissions Delhi 2017-18 on School's Website but some schools haven't shown the points attained by candidates. There should be transparency in everything related to admissions according to DOE. Some of the schools are only uploading the list of selected candidates with their parents name. There is no information regarding total points attained by those selected candidates. There is already so much tension and anxiety among parents who are seeking admission for their kids this session (2017-18), such things add up to their tension. First Lists Out - Goof-ups, Disappointment and Some luck! The first list has been published yesterday in schools across Delhi (non-govt schools only), and while some parents see their ward making it to the first list others left puzzled as there are reports of goof-ups in some schools (could be human errors) so parents hope that schools will take corrective steps, many left disappointed as they ward did not make it to the first list. Many are celebrating big! How? Several parents are on cloud nine as they could made it to multiple schools in their neighborhood sheer luck - may be. But that suggests that they are going to vacate at least 1 or more seats that will help others wards make it to second list. So such parents can please help others by taking a call quickly, and release other seats. (not hoping that many would do that as we all humans have tendency to hold on to things....don't we?) If anyone is releasing a set in any school, please post it here so that others can benefit. We will be publishing EXCLUSIVE tips on how you can make it to second list, or how you can grab that released seat, so please stay connected on this blog and on our facebook page. Click here for instructions on how you can get a seat in Govt School/Sarvodya Vidyalayas, in case you are interested. Nursery Admissions 2017-2018: Less Points? Name not in list? - Find the Answers Now! Q. 1) We scored ‘55’ points in a school and the cut off points are ‘45’ (i.e. last kid on the list has 45 points), then why is my kid not on the list? Possible reasons: 1) Your kid is 4+ years old and school has not considered your kid eligible for Nursery. (i.e. 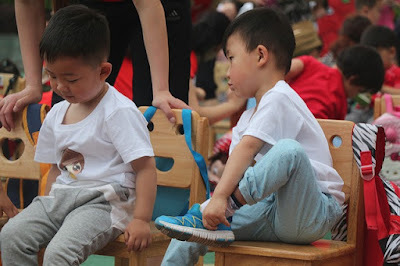 Pre-School) or given preference to 3+ yrs olds and vice versa, if your kid is 3+ yrs old and you have applied for Pri-Primary, the school will reject that, because as per DOE rules, the min. 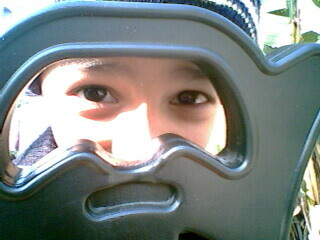 age for Pri-Primary is 4+ yrs as on 31st March. Q. 2) What options we have if my kid can’t make it to any list ? Suggestion: Tough question of the recent times let me go back to the poll results that we conducted recently (thanks to all who participated! ), the numbers suggest that we all have applied at multiple schools but this doesn’t mean that anyone with just neighborhood points at hand can hope to get a seat as every seat has at least 30-40 applications and even 10th revised list wont bring the cutoff to that 20 points. See sample maths here that would give you some idea on how it might work or not work. Kids with at least 40-50 points still have ‘some’ hope and can expect miracle in 1/10 applications. Another agony that is being observed for kids that are 4+ yrs old (as on 31st Mar), and have applied for Nursery seat, have further less chances as schools don’t want to put 3 yrs with 4 yrs due to number of reasons. Q. 3) Can I buy a seat (under management quota etc)? 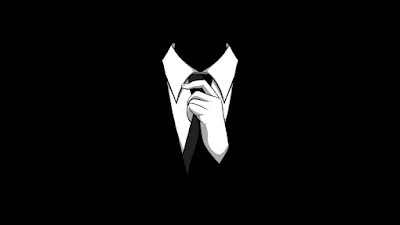 There are schools and people who are ready to give you a seat for ‘money’, but they are not many. Some school has accepted (as reported by one of the parents) approx. Rs. 8-10 lakhs from few parents and given admissions last year. There are few other schools that are also ‘asking’ for donations (or at least talk about it) during interaction meetings. I have come across people who claim that they can get you a seat in one of the highly ‘sought after’ south Delhi school for Rs. 2-3 lakhs under management quota. If we talk about options after 1st Feb (the problem statement), probably there is some ray of hope from some private schools that are little better than ‘govt’ schools, but I don’t think many parents would even opt for that forget about sending kid to a govt. school. For working parents who have offices in Gurgaon, Noida or surrounding areas, may plan to move out of Delhi and get their kids admitted there. Not an easy one, but little better than earlier one. Then there are crazy suggestion floating around like (for 4+ yrs) – get your kid admitted to some good school in other state, pay one year fee there and put your kid in some average school here and next year when he/she will be 5+ yrs old, try for a better school here in 1st grade showing that you have got transferred to Delhi or something. Crazy isn’t it? But let me tell you – parents are serious on any and all options. Can’t think of more as of now…this really needs a good brainstorming. If you come across any idea, please do share it. I am clearly not an expert in this area (admissions), but these views are coming from my recent good (and bad) experience, and thanks to all who keep sending their ideas, suggestions to me. The AAP government on Thursday approached the Delhi High Court, challenging a single-judge order that stayed its nursery admissions notification compelling 298 private schools, built on public land, to adopt only neighbourhood criteria. Filing an appeal before a division bench, Delhi government contended that the single judge was wrong and erroneous and sought setting aside of the February 14 order. Justice Manmohan in his February 14 order said Delhi government’s January 7 notification was “arbitrary and discriminatory”. The notification issued by the Department of Education of Delhi government had made “distance” the primary criterion for admission of tiny tots. The court had questioned the Delhi government’s decision to impose the neighbourhood restriction to only those schools that are built on Delhi Development Authority land. The notification accorded priority to students living within a radius of one km from the school concerned. In case the seats remain vacant, those living within a distance of 3 km will get the chance for admission. There are 1,400 private unaided schools in the capital, of which 298 are built on land allotted by the DDA. The court’s judgement came on petitions filed by two school bodies — the Action Committee of Unaided Recognised Private Schools and Forum for Promotion of Quality Education along with a few parents to challenge the guidelines. Earlier, the high court stayed the government’s nursery admission notification that made it mandatory for private unaided minority schools to admit students, in the unreserved category, on the basis of neighbourhood criteria. 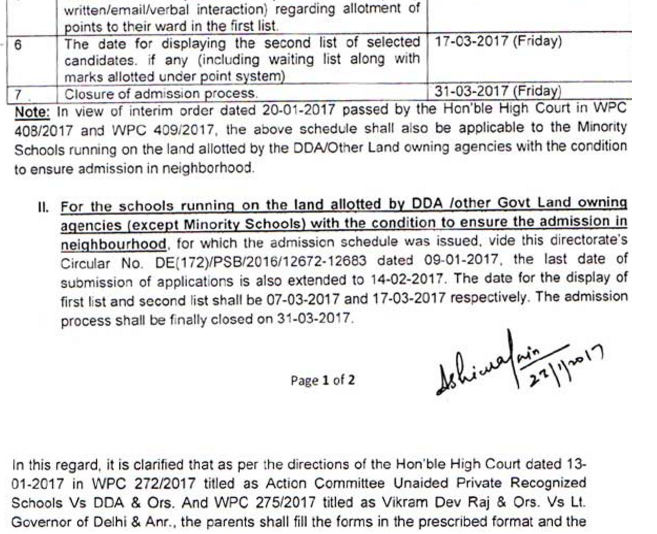 HC judgment was due on 14th Feb is finally out and after a series of ups and downs on selection criteria for Nursery Admissions 2017-2018 session for 298 schools built on govt land in Delhi, finally HC has ruled that neighborhood criteria can not be FORCED onto these schools. Delhi govt issued a notice that schools built on govt land must follow the special selection criteria, that mandated 75 seats to be filled with kids from neighborhood (i.e making distance as main criteria for selection. HC stayed the order mid of January, adding the chaos, and poor schools had started publishing their selection criteria and points breakup on DOE website, further leading to confusion. Schools will probably update the revised criteria and points on DOE site, but given that there is not much time left, so they may be updating it on their website, and at school notice boards. We shall try and update the database as soon as it is made available, here you can refer and search schools and their criteria and points as it stands today. Revised admission schedule at Entry Level Classes(Preschool/Nursery, Pre-primary/KG & Class-I) for EWS/DG. 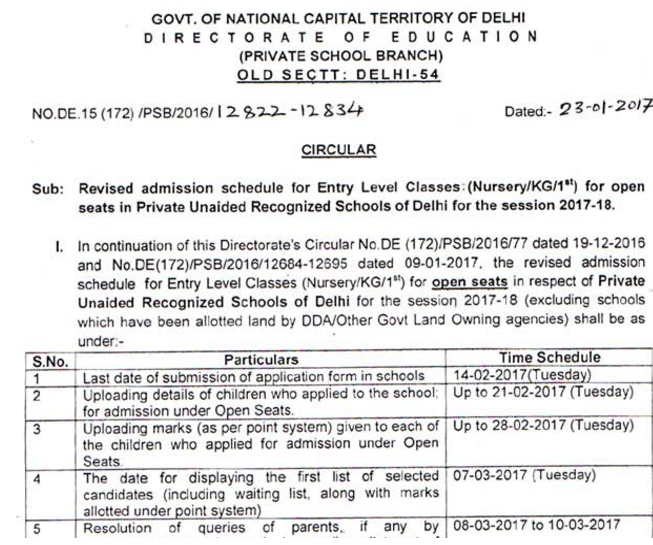 Category seats in Private Unaided Recognized Schools of Delhi for the session 2017-18. The date of displaying the first list of selected candidates including waiting list 07/03/2017 (Tuesday)). 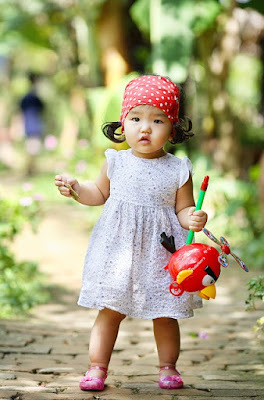 Every year, the nursery admissions create a lot of hue and cry. Following the schedule, this year, the admission process began on January 2 in around 1,400 private schools in Delhi-NCR and is scheduled to close by March 31. While commenting on the Delhi High Court putting a stay on a city government notification that made it mandatory for private unaided minority schools to admit kids in nursery under the unreserved category and on the basis of neighbourhood criteria, Delhi Education Minister Manish Sisodia on Friday lashed out at private schools in the city, saying those who wanted to 'sell' nursery seats should sell 'jalebis' instead. Recently, few schools, including minority institutes, went to the court against the direction, saying it violated their autonomy. Justice Manmohan said: "This court is of the prima facie view that minority schools are entitled to admit students in their own manner as long as there is no mismanagement." While granting the interim stay, the court noted that the government cannot interfere in the day-to-day functioning of the minority schools including their right to administer and admit students. Meanwhile, giving a sigh of relief to parents, Sisodia in recent Indian Express report said, "I am fighting for the parents who fall prey to these teaching shops." 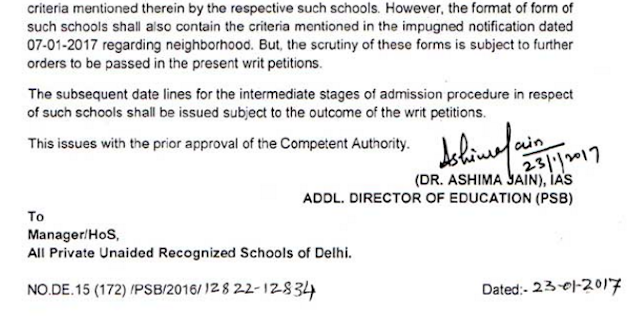 Furthermore, in the middle of admissions, a well-known Delhi school has denied admittance to parents having more than two kids. The Supreme Court has dismissed a petition from Delhi private schools against a high court verdict concerning fee hike. Upholding the Delhi High Court's January 2016 judgment, the apex court today ruled that private schools have to obtain approval from the Delhi government before going ahead with their decision to hike fee. "Once you have taken land from DDA (Delhi Development Authority) you have to abide by the Education Act," the Supreme Court while dismissing the petition of private schools. The decision will have an impact on the functioning of more than 400 private unaided schools in the city. The Delhi High Court in its January 20, 2016 verdict had said that the schools built on land allotted by DDA cannot hike the fee before taking prior permission from Delhi government. "It is clear that schools cannot indulge in profiteering and commercialisation of school education.Quantum of fees to be charged by unaided schools is subject to regulation by DoE in terms of power conferred under Delhi Schools Education Act of 1973 and it is competent to interfere if hike in fee by a particular school is found to be excessive and perceived as indulging in profiteering," the court had said. The judgment came on a PIL filed by advocate Khagesh Jha for an NGO, Justice for all, which had sought that recognised private unaided schools on land allotted by DDA be directed to abide by the stipulation in letter of allotment to take prior sanction of DoE before hiking their fees. Delhi govt schools to start pre-primary classes.Soon nursery and pre-primary classes will be introduced in close to 450 Delhi government schools. The government is planning to introduce these classes in all 447 Sarvodaya schools under the Directorate of Education. The government plans to start these classes in phases with 150 schools from the upcoming academic session in April. Nursery admissions in the national capital have always been a struggle with the only option for parents being the private schools. “There are 447 Sarvodaya schools under the Directorate of Education (DOE), out of which KG (pre-primary) class is being run in 404 schools. The department proposes to introduce nursery class in these schools and start KG class in the schools where the same is not at present run,” read a DOE statement. Officials said that by 2018 academic session, all 447 schools will have nursery and pre-primary classes. “We should be able to introduce nursery and pre-primary classes in all Sarvodaya schools by next year,” it read. Saumya Gupta, director DOE, has issued directions to the officials to identify schools where these classes can be started and has asked them to give specific reasons for those schools where these classes are not recommended to start. “After identifying the schools, estimates should be obtained from executing agencies (PWD/DTTDC/DSIIDC) for renovation, restructuring and refurbishing of classrooms for Nursery/KG sections as per requirements prepared in consultation with SCERT,” the document said. “The Planning Branch to process file for increasing the norms of financial grant given for starting pre-primary classes from the present Rs 1 lakh to a practical amount commensurate with actual requirements. “Duties and responsibilities of both the teachers of each Nursery and KG class should be clearly prescribed to ensure proper utilisation of the teaching staff,” it added. DOE has directed that the proper functioning of primary sections should be monitored and an in-charge should be designated with clearly defined duties and responsibilities. The Delhi High Court on Friday stayed the government’s nursery admission notification that made it mandatory for private unaided minority schools to admit students in the unreserved category on the basis of neighbourhood criteria. Private unaided minority schools have welcomed the Delhi High Court’s decision that allows them to omit government’s nursery admission guidelines, but parents say the ever changing norms confuse them. “We welcome the order. Minority schools have always had autonomy but these facts were overlooked by the government. The government’s criteria on nursery admissions unnecessarily cost us money, time and effort,” said Michael Williams, dean of Mount Caramel schools. Some parents have filled forms for a few of these schools, and are now wondering if they have to fill new forms. “I have applied to some minority schools and now I am confused. Will I have to fill forms again if schools decide to form their own guidelines? The government brings changes at the last moment, and then schools go to the courts, causing problems for parents,” said Model Town resident Sakshi Tomar. Three private unaided minority schools – Mount Carmel School, Ryan International School and Somerville School – had moved the court contending that the circular infringed on their rights to admit students. 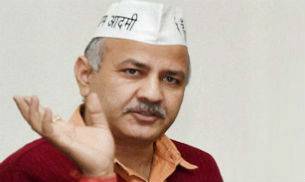 Deputy chief minister Manish Sisodia lashed out at private unaided schools, saying schools which “make money by selling seats” should rather sell “jalebis” if they want to make profit. Private unaided schools and minority schools have approached the courts against government’s nursery guidelines. “In the nursery admission case, some private schools are giving such reasoning which clearly shows that their business of selling seats is failing. Who doesn’t know that some of the private schools built on DDA sell each nursery seat for Rs 10-15 lakh,” he said in a series of tweets. Delhi High Court today stayed the operation of AAP government’s circular asking private unaided minority schools to accept admission forms based only on the neighbourhood or distance criteria, saying they are free to devise their own procedures and should be treated differently. The bench, which has rapped the AAP government for issuing such notification “at the eleventh hour putting everyone in a chaos like situation”, said the government in future should make an endeavour to frame such policy at least six months in advance, if not earlier. “Prima facie the Delhi government notification dated January 7, 2017 is contrary to the constitutional mandate. This court is of the view that fundamental right of minority schools cannot be interfered with and their right to admit students cannot be taken away. “Minority schools have the right of maximum administration which cannot be taken away by any terms of contract,” Justice Manmohan said. Pointing to the apex court verdicts safeguarding the rights available to minority-run institutions under the Constitution, the high court said, “treat them differently and the right to administer a minority school also contains the right to devise procedures for admission as long as they (procedures) are fair and transparent”. The court has now fixed the main petition for further hearing on March 21 by when it has asked Delhi government to file their affidavit. The court was hearing a batch of petitions by some private unaided minority schools challenging the notification issued by the Delhi government. Yesterday, Additional Solicitor General (ASG) Sanjay Jain, appearing for the Directorate of Education (DoE), had told the court that they have left it open for minority schools to decide on admitting students, adding that “after admitting the minority students, whatever seats are left, on that we want them to apply the neighbourhood criteria”. The Delhi government had earlier said the distance criteria was a “priority gradation system” where first preference would be given to children within 1 km, then 1-3 km and then, if there was vacancy, to beyond 6 kms. 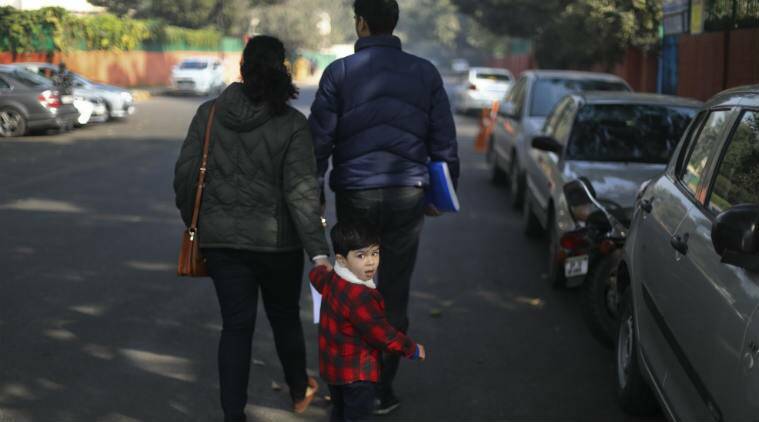 The schedule for submitting applications for nursery admission is going to remain unchanged with the Delhi high court on Friday allowing private schools to upload their own admissions criteria and issue forms for now. The bench of justice Manmohan on Friday directed that the forms being issued by the private schools will also include the “distance from the school” where parents will have to mark whether their residence is less than 3 km, 3-6 km or over 6 km from the school. The court held that since the scrutiny of forms for admissions is scheduled to take place after January 31, the final decision on whether to issue a stay order on the Delhi Government’s January 7 order making “distance” the primary criteria for admissions, will be taken before that date. The court will now hear the matter further on January 19. In the interim, the bench has allowed schools to continue to application process. The January 7 guidelines state the schools “shall not refuse admission to the residents of the locality”. Defining what neighbourhood would mean, the guidelines state that students who are residing within 1 km of the school will be preferred and if seats are not filled, preference will be given to students residing within 1-3 km of the school. During the hearing on Friday afternoon, the bench of Justice Manmohan also pulled up the government for the late notification, commenting that due to the delay by government, the high court was “made a villain” since it was “forced” to consider the admissions criteria every year. On Thursday, the bench had asked the government why the admissions guidelines could not have been issued at least 6 months before the date when the admission process was opened. The Delhi high court came down heavily on the city government on Thursday for creating “chaos and confusion” in the nursery admission process every year by putting up fresh notifications just before the admission season starts. “Why have you put up a new notification in January, when the admission process starts in January... This makes the citizen jittery, who does not know where to go,” justice Manmohan fumed. The judge noted that this behaviour of the government created “chaos and confusion” for parents who didn’t get enough time to plan admission process of their kids. “It has become very difficult to deal with this government... In the last four years, you (government) have come up with at least three notifications in the month of January,” justice Manmohan remarked, while hearing a fresh petition moved by an association of private unaided schools challenging a January 7 notification on nursery admission. The court noted that the late notification on nursery has created a situation where if anyone challenges it and the court interferes, the whole admission planning of parents gets disturbed. “What were you (government) doing the whole year. This notification should have come at least six months or a year in advance so that parents gets to plan in advance. Don’t take anyone by surprise,” justice Manmohan said, posting the case for hearing in the afternoon. Action Committee Unaided Recognised Private Schools, consisting of more than 450 private unaided recognised schools functioning in Delhi has challenged the notification restricting private schools on public land to admit toddlers only using the neighbourhood or distance criteria. The new policy was approved by lieutenant governor Anil Baijal and announced by the government on Saturday. One of the major problems about 300 private schools, which are built on Delhi Development Authority (DDA) land, has with the new guidelines is that they can no longer deny admission to anyone who seeks admission from their neighbourhood. The government January 7 notification said these private schools cannot “refuse admission to the residents of the locality” and fill 75% of the capacity. The remaining 25% seats are mandatorily reserved for children whose parents’ annual income is less than Rs 1 lakh a year. The notification gave priority to students living within a radius of one kilometre. In case seats remain vacant, those living within a distance of 3km will get a chance. 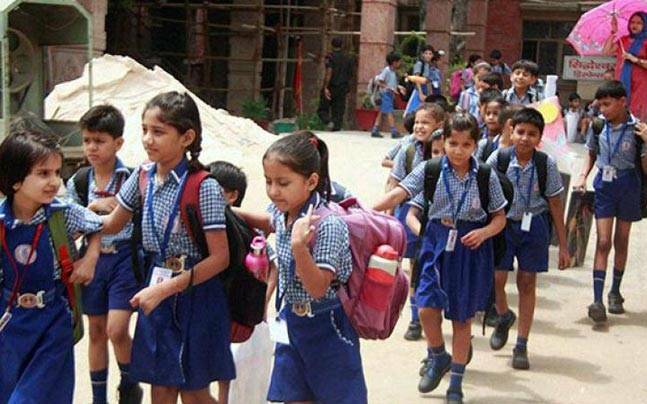 There are 1,400 private unaided schools in the Capital and 298 of them are built on land allotted by the DDA. The committee has challenged the notification contending that it was “illegal, arbitrary, whimsical and unconstitutional”. It contended that the terms of allotment was superseded by the lease deeds subsequently executed and registered by the land owning agencies in favour of the private educational societies.